Founded in 1887, in Worcester, Mass., Clark University has an enrollment of approximately 2,200 undergraduate and 1,000 graduate students. The university is best known for alumnus Robert Goddard, whose pioneering rocketry experiments ushered in the modern space age. Clark’s purchasing decisions are decentralized and made at a departmental level. Purchases are submitted through its eProcurement System, SmartBuy Plus, which uses the JAGGAER platform. Clark University implemented JAGGAER in 2013 to help manage and automate the purchasing and payment process. While SmartBuy Plus incorporated several online catalogs for key vendors, purchasers were still buying a significant volume of items through Amazon using either personal or Clark-issued credit cards. This process was inefficient – it created additional reconciliation or reporting work for purchasers – and it by-passed the eProcurement system that was in place to help manage the purchasing and approval process. Clark needed a way to shift that purchasing onto its eProcurement platform. 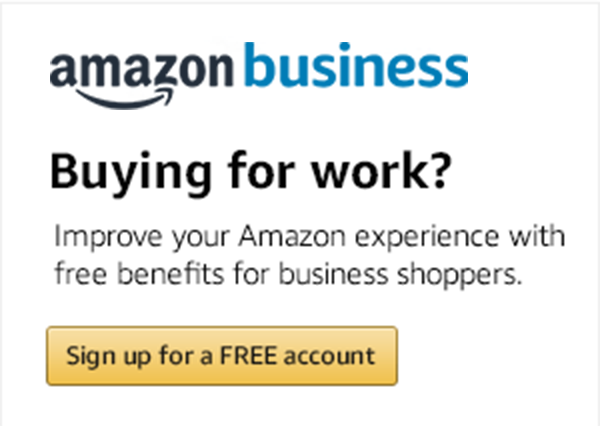 In March 2015 Paul Wykes, Clark’s Business Manager, learned that the Amazon Business punch-out could be enabled on JAGGAER. Paul hoped that Amazon punch-out would give faculty and staff one-stop access to the world’s biggest online retailer through SmartBuy Plus. Through his JAGGAER representative, he reached to Amazon Business to learn more about the program. Clark registered for Amazon Business in April and went live with Amazon punch-out on May 1 with a pilot group of 20 users. Clark is using a shared corporate credit card to enable centralized billing. In August, Clark University rolled out Amazon punch-out to all 150 purchasing system users. Clark distributed an email newsletter and informational sheet to users and added an Amazon Business logo to its SmartBuy login page. “Amazon was the most requested catalog from our end-users, so when it became available, it was a no-brainer,” says Wykes, adding that faculty and staff value the ease of use, convenience, and selection. Wykes says Clark’s Business and Financial Services Office likes the integration with its eProcurement system and spend controls. Increasing the use of Clark’s eProcurement system to purchase goods and services helps the university manage its expenses, lower administrative overhead, and ensure compliance with purchasing policies. Before Amazon Business punch-out, Clark struggled to balance the demands of faculty and staff with the goals of the business office. Clark believes Amazon will see more business as a result of the punch-out integration.